With some of the hottest days of the year happening lately, we often find ourselves spending time at the pool or beach. There are few things that feel as good as a dip in the water when temps reach 90’s or higher. One of the first things we like to grab when we head out for some pool time is a speaker. What better way is there to get in a long playlist, podcast, or audiobook than to relax and soak in the summer sun with water? We’ve been playing with some of Braven’s new audio products and find them to be solid offerings. One, the Stryde 360, is a portable speaker while the other two, the Flye Sport and Flye Sport Reflect, are wireless earphones. The trio are equal parts stylish and practical. 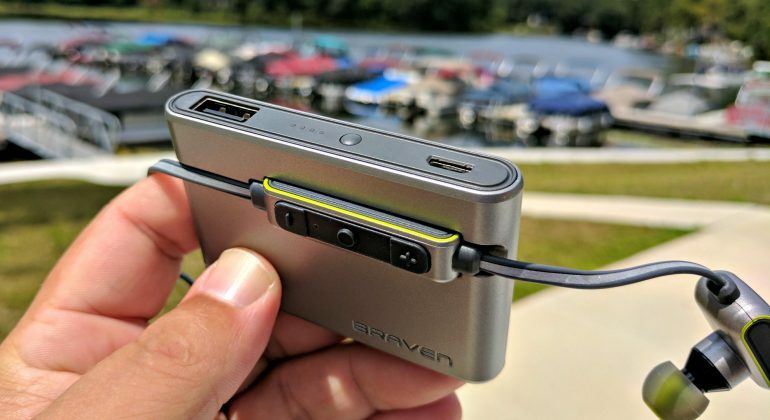 We have long been a fan of the devices that come out of Braven and think these are as good as anything else we’ve tested. Longtime readers have likely seen a Braven review or two here over the years. 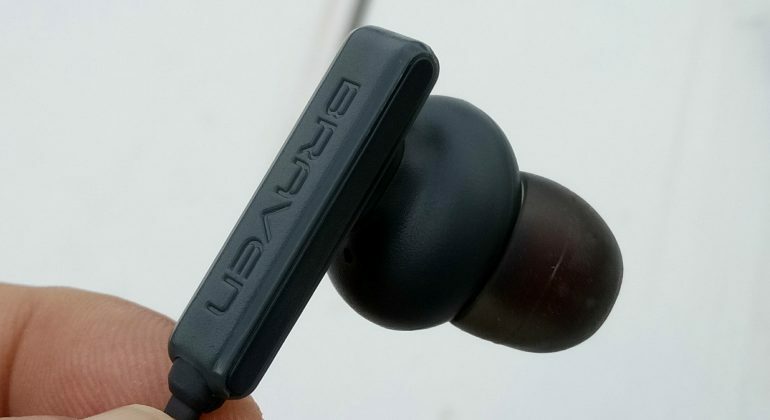 Its speakers are some of our favorites as they often deliver excellent sound with long battery life and other features. Some offer internal batteries and power for charging your phone, others are waterproof and/or rugged, and a few models include all of the above. 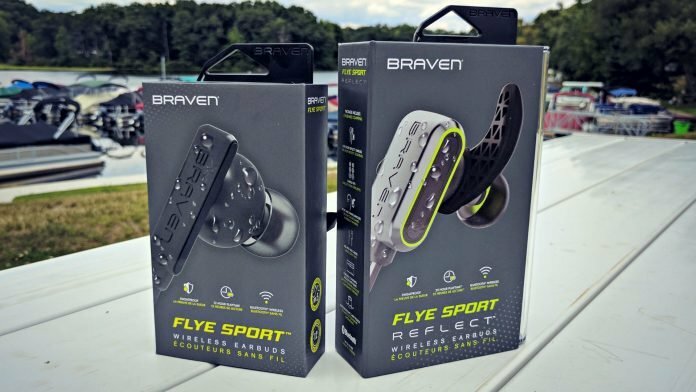 In what is a first for Braven, the Flye Sport and Flye Sport Reflect are wearable audio products. We’ve seen headphone companies get into speakers; this is a speaker company dabbling with earphones. First introduced in January at CES 2017, the two sets are aimed at users with more active lifestyles. While they may seem similar on the outset, the earphones are more different than you might believe. With a retail price of around $100, the Stryde 360 is a diminutive cylinder of a speaker. Don’t let its size fool you; it brings more to the party than you’d expect. 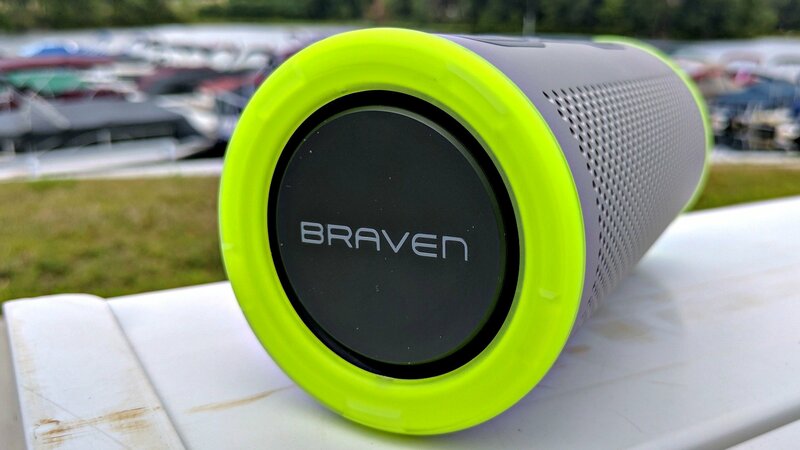 As part of the Active Series from Braven, it features the brands signature fluorescent green/yellow and grey color scheme. Moreover, it also means it has the IP67 waterproof protection you’ll want when lounging poolside. Because of its shape, the Stryde 360 delivers audio in a 360-degree manner. In other words, there’s no need to worry that one side hears music better than another. Just set it wherever you want and enjoy the tunes. With 12 hours of playtime, the speaker boasts a 2500mAh internal battery and features voice control. We really like the size and portability of this one; it’s plenty of power and rich sound for most needs. It’s a great desktop or picnic table speaker that fits in your backpack or summer bag without taking up much space at all. We’re in love with the color scheme that Braven’s adopted as of late, too. If you’re looking for a pair of lightweight, practical earbuds, the Flye Sport should be on your list of contenders. 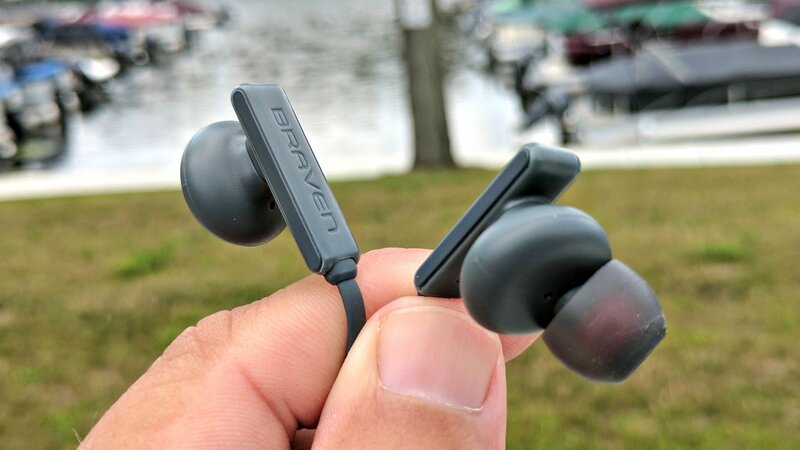 Featuring 12 hours of playback time and a tangle-free flat ribbon style cord, the Braven fit any ear with multiple bullet tips. The Flye Sport are IPX5 water resistant so feel free to toss these in when you’re out hitting the powder later this year. The integrated microphone makes it easy to make and take calls; it can also be used for voice activated commands. Moreover, you’ll have full control over playback and volume. Offered for about $50, you can get them in four color combos: Grey/Red, Silver/Green, White, and Black. Take your fitness game up another level with the Flye Sport Reflect, a set of earbuds with a flat, reflective cable. You’ll stand out to passersby and drivers, even if you’re out running at dawn or dusk. Not only are these earbuds water resistant, but they’re also designed to withstand sweat, too. This is key if you plan to do some long term running or expect to get sweaty. Like the aforementioned set, this one also comes with an integrated mic and playback controls. In addition to variable bullet tips, the Sport Reflect also come with two types of earhooks to help keep them snug in your ears. 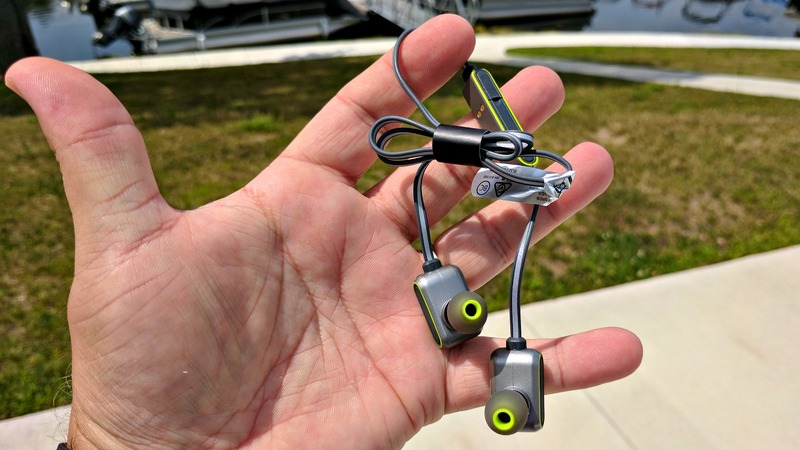 The Flye Sport Reflect are charged by a portable power bank by simply connecting them to the metal contacts. With a 1A USB output, you can also use the charging unit to juice up your phone. The LED status lights keep an eye on things, alerting you to approximately how much is left inside. 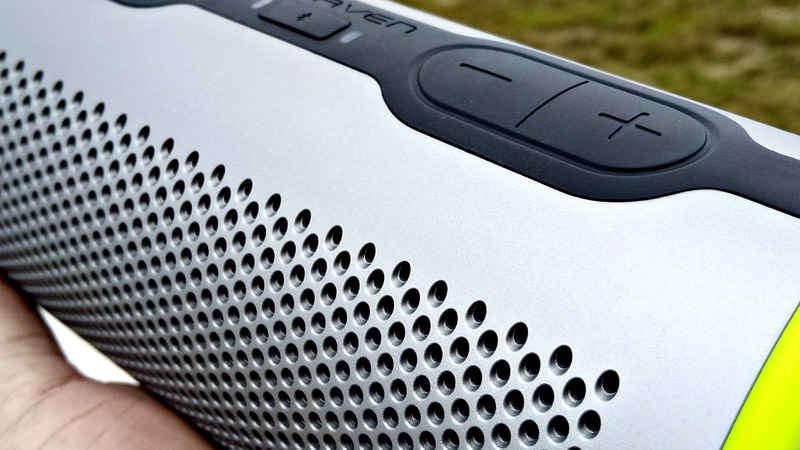 Pick these up in four colors (Grey/Red, Silver/Green, White, and Black) for approximately $100 through Braven.